It’s been 3 days since the big storm ended, and the snow keeps getting better. The settling has helped. But more important, no sun and 10-15 degree temperature has dried the initially dense, heavy snow. We went into Mail Cabin and skied 6 different runs on 6 different aspects and the snow was perfect on every aspect: north, south, east, and west. 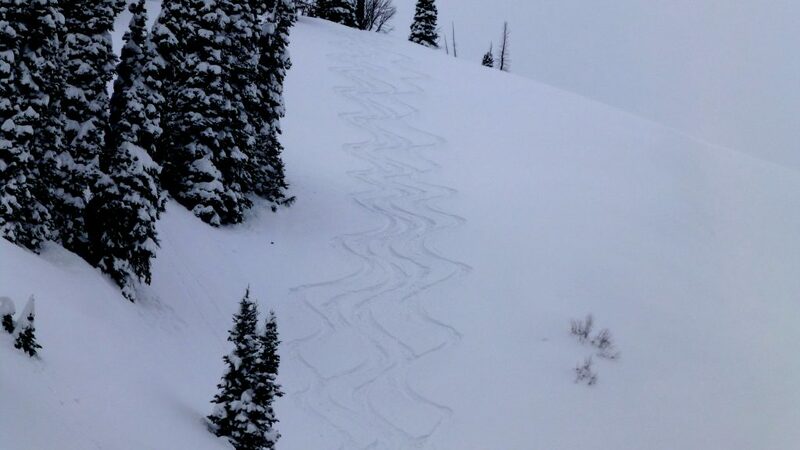 This is the kind of skiing the Tetons are known for. Everyone in our party was grinning like an idiot after every run. A long hard day made easy by perfect powder.